The objective of GMP at OVET is to prevent substances, which in time could be harmful to people, from entering the food chain via contaminated animal feed. This is done by means of clean transshipment material. The GMP uses a chain approach (from raw materials to the final product). The most recent regulations can be found on the Product Board Animal Feed website. The core of the GMP measures is the identification of the risks of the possible contamination during operations, and the way in which these risks can be avoided or reduced. 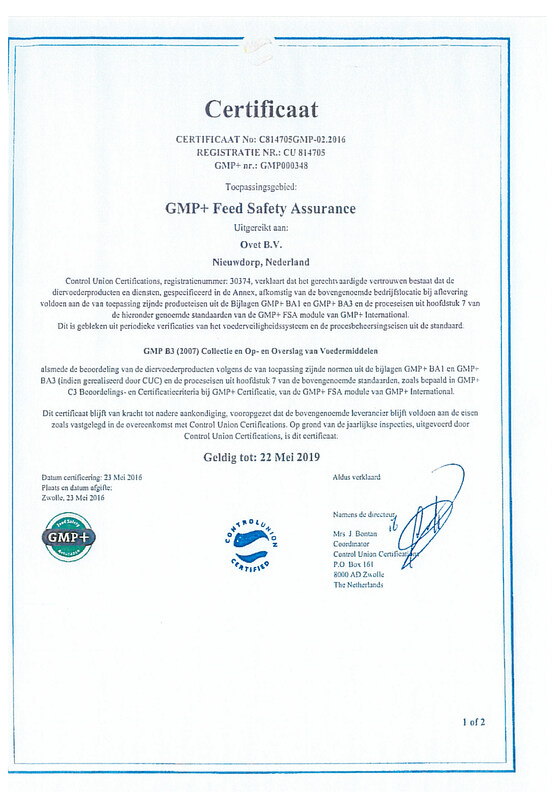 OVET is certified for GMP + B3 (2007) for collection, storage and transhipment of animal feed. 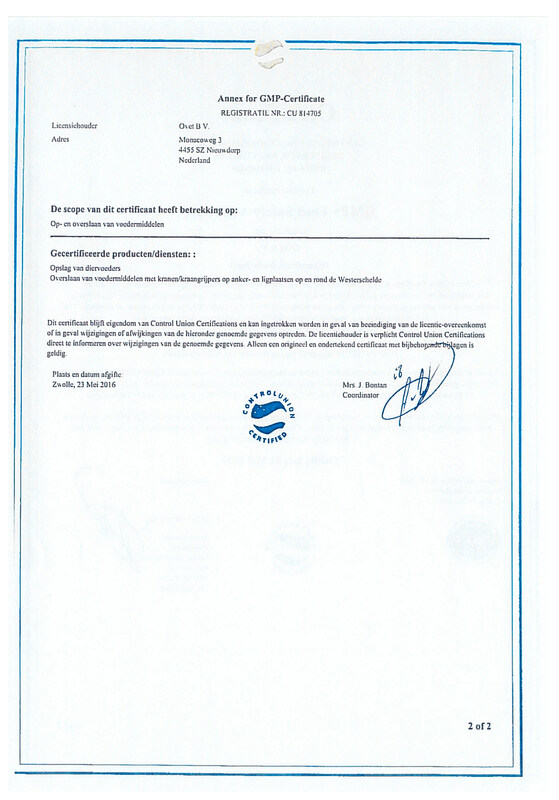 This means OVET is allowed to store animal feed in the warehouse at its dry bulk terminal in Vlissingen and Ovet can also tranship animal feed with cranes and crane grabbers on anchorage and mooring berths on and around the Western Scheldt.